200 Yamaha Lowrance X85, MotorGuide Brute 68. Motor is 1 5/8" off the transom. 68 mph @ 5600 rpm (gps). 175 Evinrude XP Lowrance X60, MotorGuide 107# TM. "Dark Gray with light Gray and Red pinstripe. Wish it had better holeshot." this setup and will updated the missing info when it's right. members in getting my setup right." 97 200 Yamaha ProV Nordskog Analog GPS speedo, Motorguide ZX series. kit and a Bob's "Sportsman" lower unit kit. setting this rig up. This board has helped a lot!" 150 Yamaha 67# TM. 64 mph (gps). 200 Mariner MotorGuide Brute 55. Propshaft is 2.5" below the pad. on this 9 year old boat." VMax Propshaft is 3" below the pad. 74 mph @ 5600 rpm(gps). high speeds. Very good layout of deck space." 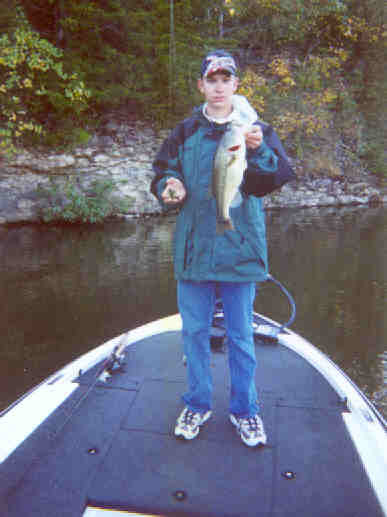 150 Yamaha Fish Easy 128, Lowrance flasher. MinnKota Maxxum 74.
the ZX package, definitely worth the extra bucks. If anybody has any questions on my setup, just e-mail me." transom. 56 mph @ 5200 rpm (gps). "Good boat, my second Skeeter." 82. 80+ mph @ 5600 rpm (speedo). 115 Yamaha Zercom in dash. Hamby keel guard. MotorGuide Pro TM. 58 mph @ 5200 rpm (gps). 225!. Picked up 2.8 mph under tourney load." 'copter before a big tourney. They showed 74.3 mph. 200 couldn't hang with either of us!" 115 Yamaha MotorGuide TourEdition. 56 mph. week ago and am loving it. The storage room is great. I haven't had it WOT to see what it will do yet." 200 Merc XRi Lowrance X70, MotorGuide 80# TM. 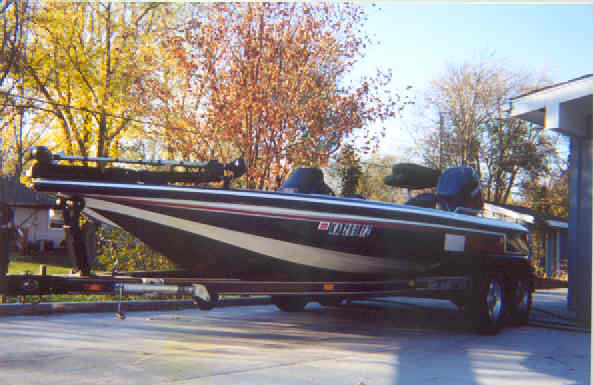 runs exceptionally well in rough (Chesapeake Bay) water. The storage and layout cannot be beaten by ANY brand. 225 Merc Lowrance X70, MotorGuide 767 Tour Edition. 74.8 mph @ 6000 rpm (gps). 200 Yamaha Maxxum 74# TM. Skeeter is #1 in my book." 150 Yamaha Brute 67# TM. 66 mph @ 5900 rpm (speedo). Security system by Boat Patrol/Dove's Electronics. 200 Merc XRi Big Foot Flasher, MotorGuide 55# TM. Propshaft is 1.5" below pad. 74 mph @ 6100 mph. is not as good. Great boat, with great ride." 150 Yamaha TRP Motorguide TE 107# Tm. 68-70 mph @ 5900 rpm (gps). "This is my 2nd Skeeter. '93 SS90 was my first. conditions. Wanting to upgrade now to the ZX225. 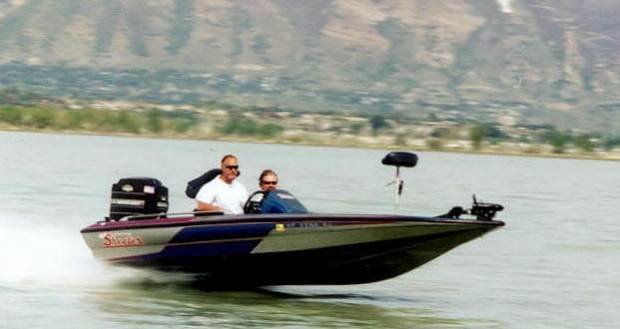 Glad to hear it's a 75 mph boat. Can't wait to get one." 200 Yamaha MotorGuide ZX60 TM. Propshaft is 3" below the pad. of 2850 ft and temp at 94. 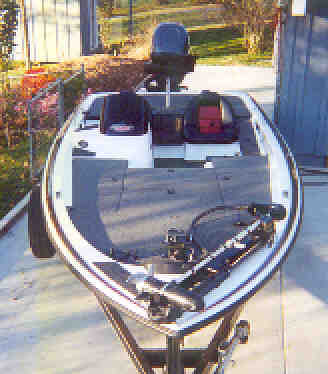 This is my second bassboat. under the "Hot Rigs" section." 150 Yamaha LMS160, Eagle Optima, Motorguide TM. 62 mph @ 5500 rpm (gps). few boats. My Yamaha HPDI is the best by far. Nearly twice the gas mileage at 4000 rpm's. a ZX225 or ZX250. Tight Lines !" 150 Yamaha 67 mph @ 5200 rpm (speedo). "First glass boat. ProV running break in oil." 115 Suzuki Minnkota All Terrain 74# TM. 150 Yamaha VMax Pinpoint 7520, MotorGuide 767 TourEdition. would be appreciated. I LOVE IT. 200 Merc LMS 350, Lowrance LMS 160, OMC 12/24 TM. 74 mph @ 6000 rpm (gps). engine and is very quiet. I finally put on my first 10 hours." 115 Yamaha MotorGuide TM. 50 mph @ 5200 rpm (speedo). 225 Yamaha Lowrance X75 (upfront), Garmin 240 (console). Motor is 4.25" off the transom. 78.5 mph @ 5900.(gps). Todd has given me is the key to my success with this boat. I'm now working on hitting 80-83 mph here soon. 150 Merc EFI hotfoot, MotorGuide 765. Propshaft is 2" below the pad. most fishable I've ever been in. But need to get a 25"
wheel to bring the rpms down just a bit." let me go any faster." quick out of the hole. Plenty of storage laid out nicely. Maxxum 101#. 73 mph @ 6000 rpm (gps). ProKontrol handle, Hamby's keel protector. Fish & Ski 45 mph @ 6000 rpm. "Nothing fancy". 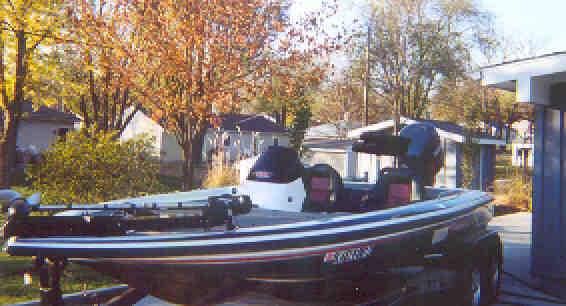 115 Yamaha charger, X45's (bow & console), Eagle Explorer GPS. 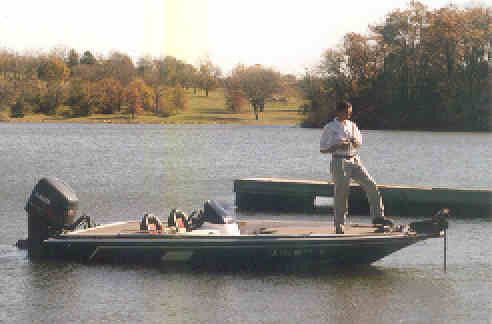 Copyright © 2000-2009 BassBoat Central Inc. All rights reserved.